On Wednesday I was in class at Saint Lawrence when my professor mentioned that his wife was driving up Interstate 81 on her way to Canton. He was concerned about the heavy snow in the area. I thought back to reports from last year and my focus drifted away from literature towards skiing at Snow Ridge. Back in my room after class, I poured over the NOAA forecasts and snowfall predictions for the evening and the checked snow reports on the Snow Ridge website. I couldn’t believe they were reporting up to 40 inches of snow in the last 24 hours with more on the way. It seemed they must be bluffing. I consulted topo maps, google images, and the trail map, trying to decide whether I should skip the semester’s final day of classes to ski 500 vertical feet almost two hours away. 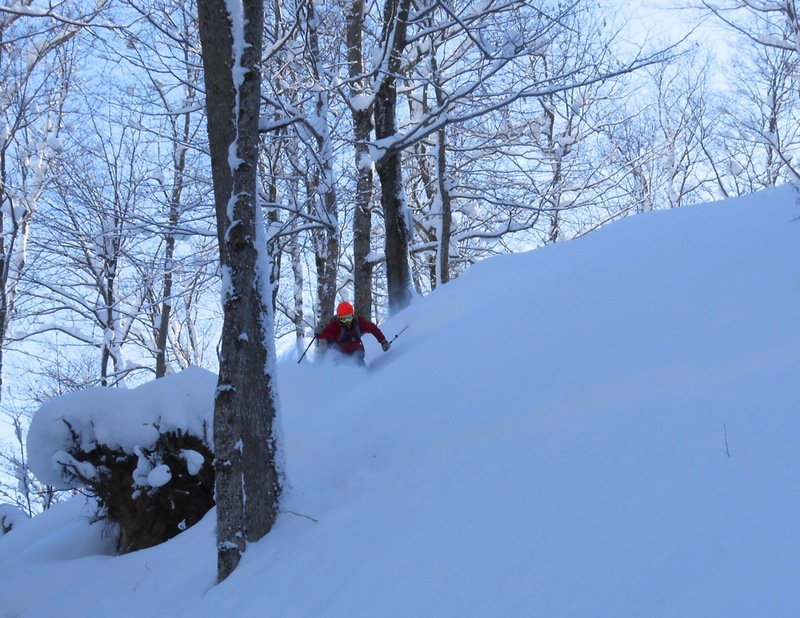 Skiing in the trees in December is often difficult because there isn’t enough snow cover. During my first run at Snow Ridge Ski Resort today, it proved difficult for the opposite reason. As first-timers at the ski area in Turin NY, no one in our group knew where to find the steeper terrain and thigh-deep snow makes cruising speed hard to reach on low-angle slopes. Luckily, we found the goods on our second run and the rest of the day was filled with face shots and high fives. We were on the clock as my ski partners had to get back on time for afternoon exams. We arrived at 8:30am and broke a skin track through one swatch of groomer-track that had been flattened before the last six inches or so fell. The sun was out all morning, doing its best to make up for the air temperature, which started out at -5 degrees Fahrenheit and barely got to +15 by mid-afternoon. 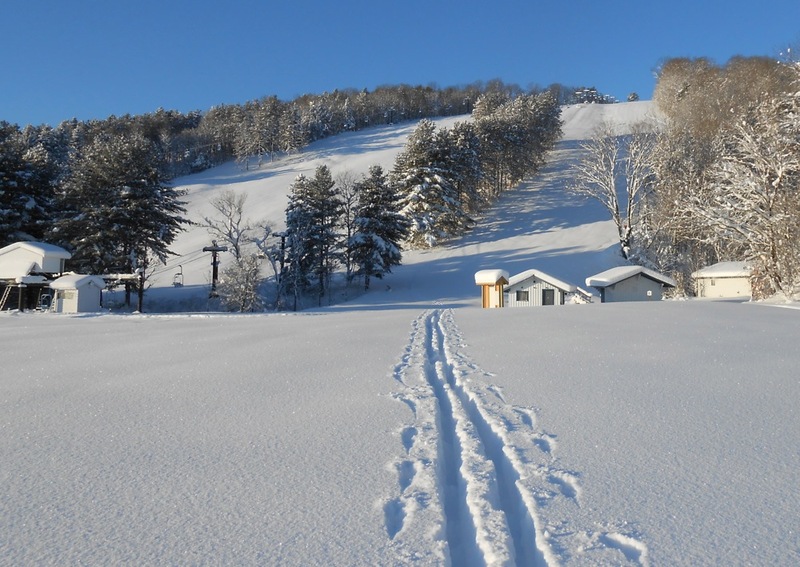 On the day before the resorts official opening, we saw two other skiers, neither of whom stayed long. As we were making our final descent at 2pm, clouds rolled in and a fine, cold snow began to fall. The mountain ops crew was plowing the parking area and testing the lifts, preparing for the beginning of the season. 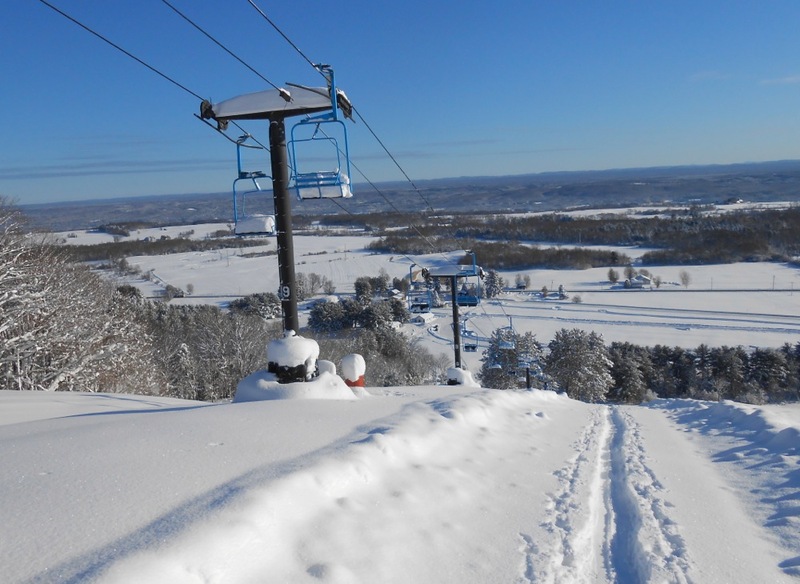 After today’s sneak peek and with the potential for another foot of snow this evening, I can’t imagine anything but bliss in Turin, NY on opening weekend. Sweet. I was hoping someone from Harvey Road would get some turns in at Snow Ridge. I too checked the snow report and I would have skipped out work today to hit up opening day but we are headed up to Gore for the weekend and the logistics just didn’t work out. Hoping to get over there for another big dump this season. Here’s my quick POV edit from the day as well. Can you say face shots? 57″ of bottomless powder today at Snow Ridge. It was sick. Nice vid and way to get it yesterday. 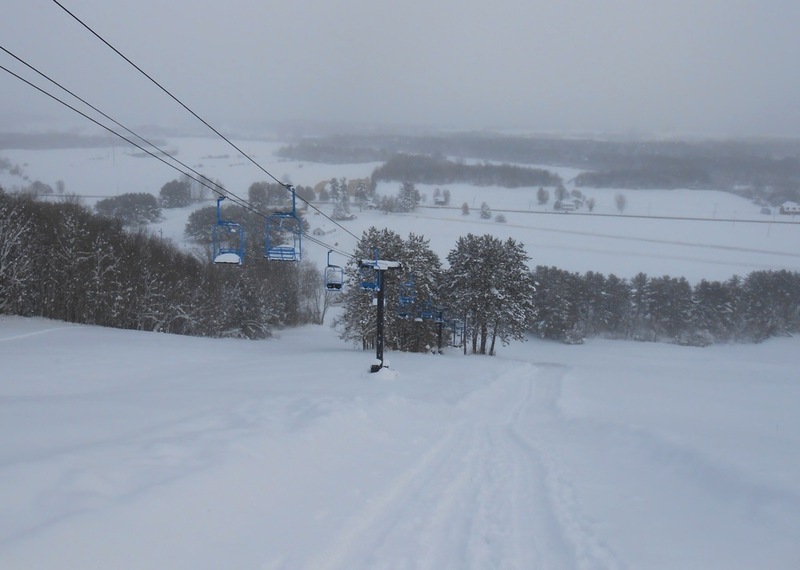 19″ of snow fell after you skied it, so it was considerably deeper today than when you hit it. I think you had an easier go of it. 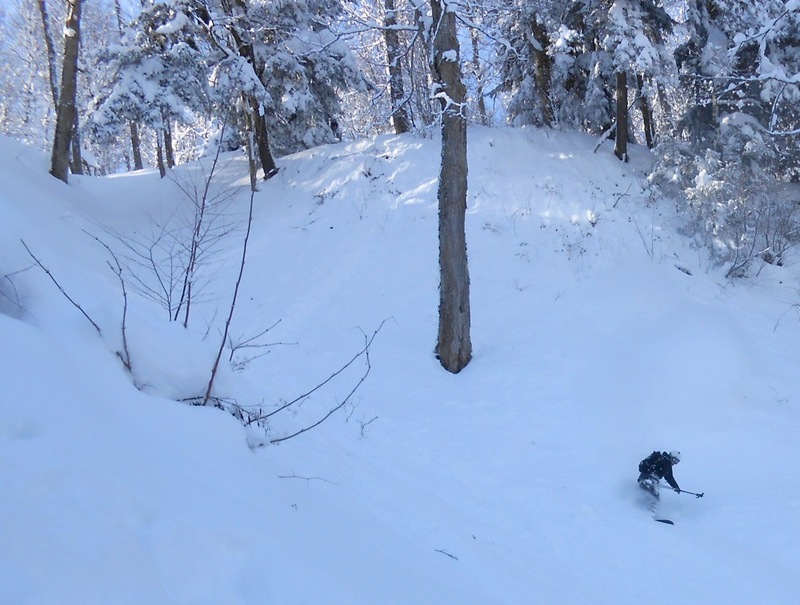 Pitch was the only solution today, so we spent quite a bit of time skiing the ravine.